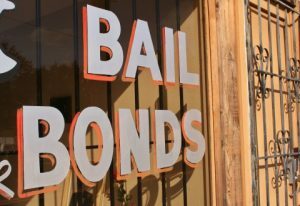 Most Grand Haven bail bondsmen are dedicated to helping their client get out of jail quickly and then work to get their lives back on track. Most of them are honest, trustworthy, and professional. Unfortunately, this is the case for all of them. So how do you know which bail bondsman is trustworthy? Who do you choose to work with in the Grand Haven area? Here are three tips to help you find the right bail bondsman. When it comes to a bail bondsman, experience can make a big difference. While newer bondsmen may be passionate about providing a service, they haven’t been able to build up the relationships that can help make the process faster. Look for a bail bondsman who has experience in the industry and know exactly what needs to happen to get you or a loved one released quickly. Thanks to the Internet, we almost never have to wonder what other people think about a business. This is true about bail bondsmen, too. When you are looking for a Grand Haven bail bondsman, be sure to read the reviews about their company. While you do have to take some reviews with a grain of salt, it can give you a good general idea about how they treat their customers and the level of service that you should expect, too. When you think you’ve found a bail bondsman you want to work with, give them a call. A good bail bondsman will be willing to speak with you over the phone or in their office and talk about your situation with you. They should be able to give you options about how to move forward with the bonding process. Listen to your gut. If after this meeting you feel like this is a bail bondsman you can trust, let them get started on your bail bond. 1st Assured Bail Bonds wants to be your Grand Haven bail bondsman. If you are currently looking for someone to help you with a bond, we encourage you to take a look at us. We have the experience needed to make the bail bond process easier; we have countless reviews from happy clients, and we’re happy to talk to you about your specific situation and answer your questions. Give us a call or contact us through our website today and let’s get started.